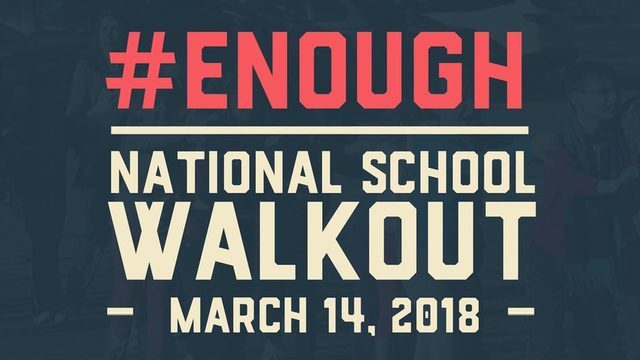 Students, faculty, staff, and parents from schools all across Brooklyn are participating in a National School Walkout next Wednesday, March 14 at 10 am to protest gun violence. 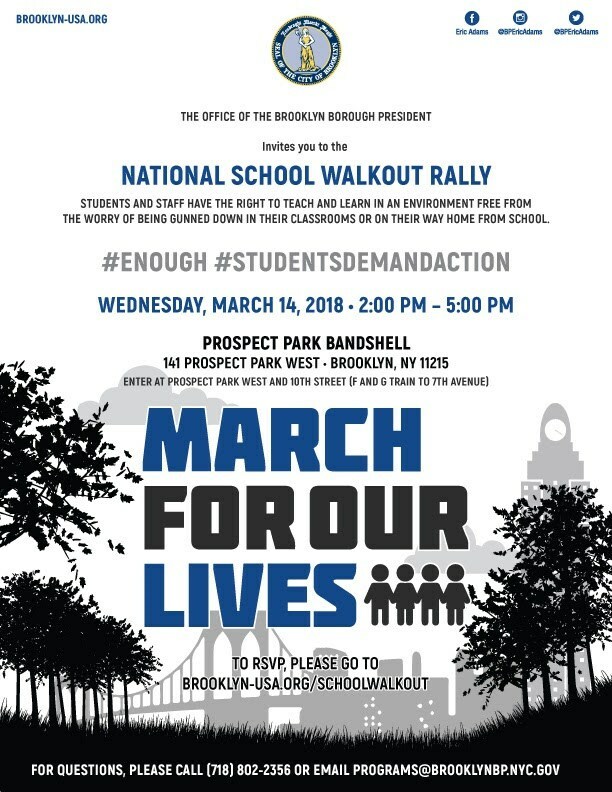 At 2 pm the same day, Brooklyn Borough President Eric Adams and District 39 Council Member Brad Lander planned a National Walkout School Rally at Prospect Park Bandshell. “At this after-school rally, we will call and write legislators, learn how to speak truth to power, and build a Students’ Bill of Rights,” Adams said. District 43 Council Member Justin Brannan believes the youth taking part in the walkout deserve respect. If your school is participating and is not on this list, please do let us know! High School of Telecommunications Arts and Technology is also participating. The Academy for Young Writers is participating. HOW COME NO ONE DID THIS WHEN OBAMA WAS PPRESIDET AND THERE WAS 23 SHOOTINGS, NO PROTEST, NO CALLING OUT THE NRA, WEREN’T THOSE LIVES IMPORTANT ALSO, THIS IS WHY SOME DON’T SURPORT THESE BIAS PROTEST, REMEMBER STUDENTS, TEACHERS, MAYOR, GOVERNOR ALL LIVES MATTER. Hi, Hunter College High School is also participating! Brooklyn Collaborative is also participating. Prospect Kids Academy Park Slope will be participating. Information Technology HS in Queens will be participating. PS 38 The Pacific School will be participating in an indoor walkout to insure the safety of the younger kids.